The very first vinyl album I ever bought in school days was by Donovan. It was a ‘Greatest Hits’ offering (of which there quite a few). The man himself appeared on awful breakfast TV this morning in the studio answering questions and giving a ‘performance’ of his 1966 hit ‘Sunshine Superman’ which I remember so well. It was perhaps a great pity they didn’t allow him to sing rather than the very poor mime that viewers were treated to. The signs were there before he even opened his mouth with the note perfect to the original intro. Predictably quizzed about the sixties by the Thunderbird puppet look-alike, Andrew Castle and his presenting partner, Donovan dropped a few names but was nevertheless very interesting in his answers in spite of his somewhat ‘old hippy’ persona. I kind of warmed to him I have to say. 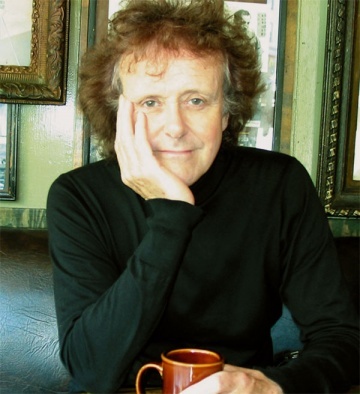 From a career that was all about the sixties when he was quite prolific, Donovan provided some good music I reckon – most of it tucked away as album tracks rather then the very commercial stuff most people are aware of. I always recall him being regarded as a ‘second-rate Dylan’ which I felt slightly unfair as both singers took their influences from the same people such as Woody Guthrie and began in the same place. Naturally there has never been a lyricist like Dylan nor probably ever will be, but I felt there was a place at that time for Donovan’s more gentle and ethereal style in the pop music of the day, opposed to Dylan’s more acerbic outpourings. Main impression from the TV this morning was that if this guy ever wrote a book about his life I would definitely buy it. He would have a long and thought provoking tale to tell. Complete with a lot of huge names who were of his acquaintance in those days. The book is called “Hurdy Gurdy Man” and it’s fascinating.